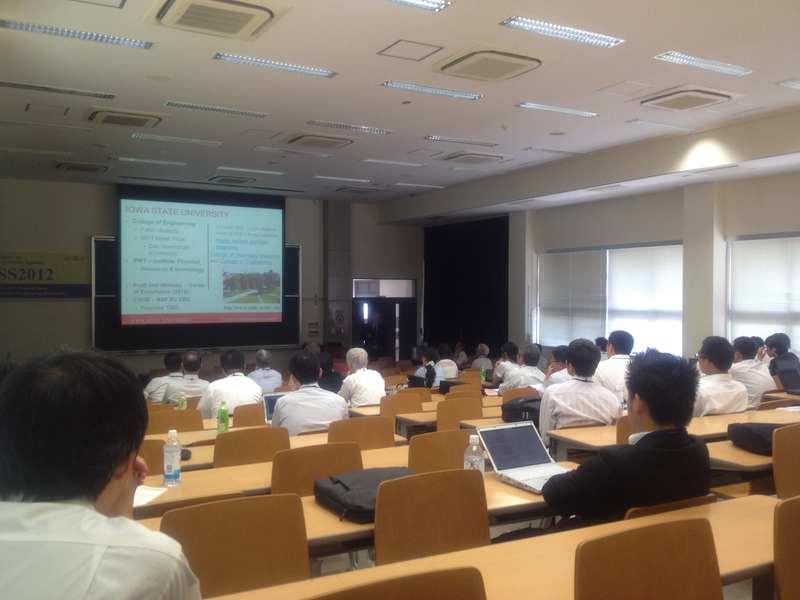 I have participated in STSS2012 conference held at Okayama University in Okayama city. It was a 3-day conference from August 29~31, 2012. 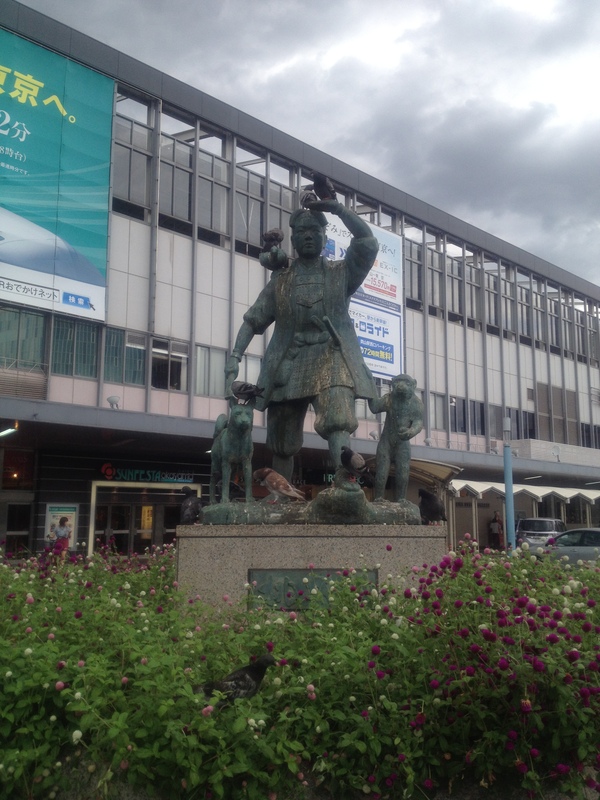 Statue of Momotaro in front of Okayama Station. Looks like Momotaro has friends other than a monkey, pheasant and dog. The conference is organized for researchers who are contributing to the advancement of socially and technically symbiotic systems for sustainable development of human society, especially in the fields of social factors, human factors, socio-technical systems, human interfaces, symbiotic energy systems, rescue systems. a keynote session on the second day. I have made a presentation for my paper entitled: Augmented Reality Agent as Desktop agent. The presentation and the Q&A session were Okay, but i later found out i misunderstood the question made by Ishii Sensei from Kyoto University. I have learnt that i should always think carefully about the intention of the question rather than just taking the questions literally. 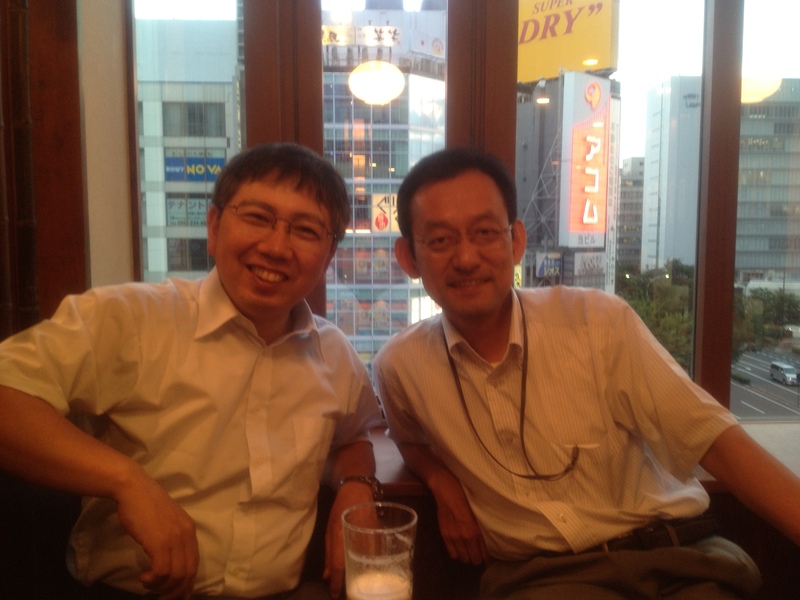 At the night of my presentation i had a nice dinner with Professor Kato and Professor Dr Eng. This entry was posted in 未分類 on September 4, 2012 by imd-lab.